These Cajun-rubbed chicken thighs are one of the easiest, most affordable ways to enjoy a crispy-coated piece of chicken! I first fell in love with Cajun-flavor during a mission trip to Louisiana/Mississippi to rebuild homes that were destroyed by Hurricane Katrina. Cajun and Jerk chicken were served everywhere and it was so good! 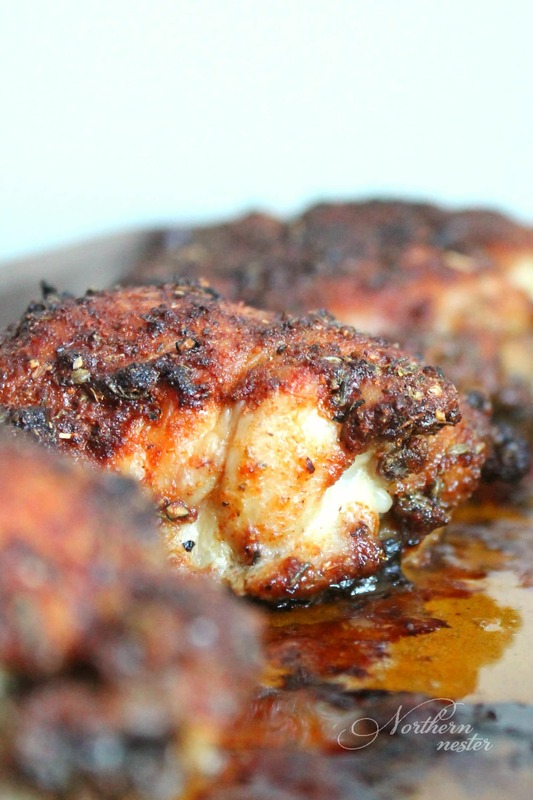 These Cajun-rubbed chicken thighs are a Trim Healthy Mama S protein source. Thighs are considered “dark” meat and aren’t as lean as chicken breasts. The best thing about enjoying chicken thighs in an S meal is that you’re free to enjoy that crisp, crusted, cracklin’ skin! My favorite part! Cajun-rubbed chicken thighs have quite a kick to them, so they are well-paired with a milder, creamy side like Cheesy Cauliflower with Bacon…. 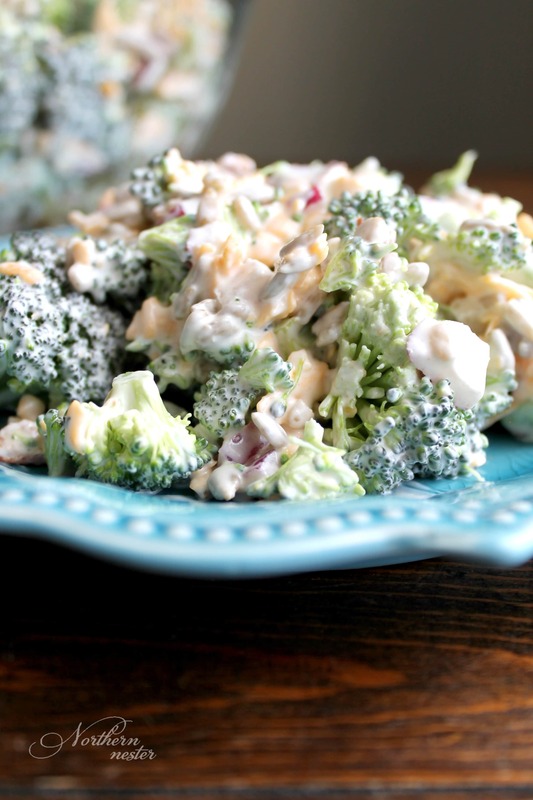 ….or Creamy & Crunchy Broccoli Salad. 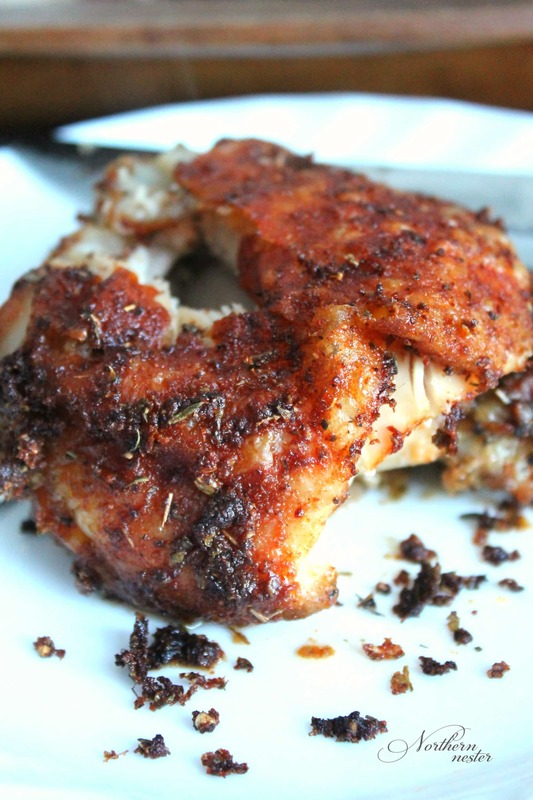 Cajun-Rubbed Chicken Thighs are an incredibly easy and affordable way to enjoy flavor-infused chicken with a crispy skin! A THM S.
In a small bowl, stir together herbs and spices with oil. Let sit for 5 minutes to thicken into a paste. Rub spice mixture all over chicken thighs. Arrange on prepared baking sheet. Roast thighs in oven at 400 F for 50 minutes - 1 hour. Let thighs rest 5 minutes before serving. This rub is also delicious as a rub on grilled pork chops! 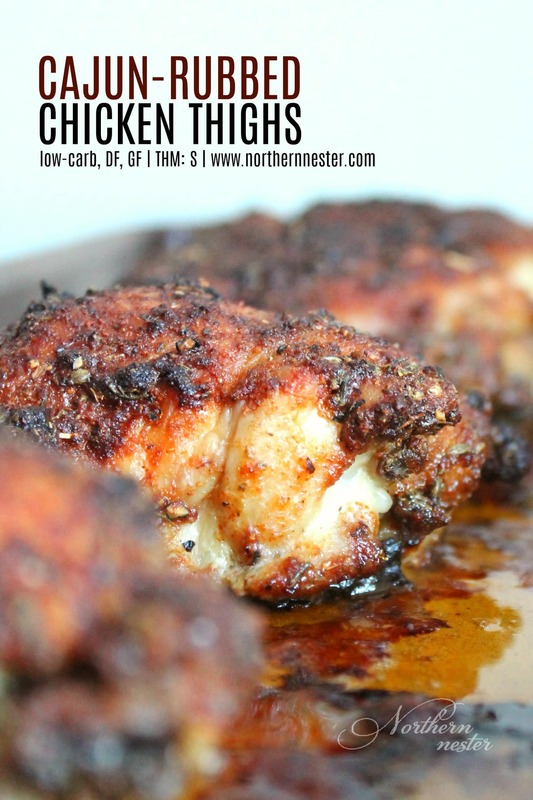 I would love to try the Cajun rubbed chicken thighs! Made these for dinner last night! BIG, BIG hit with both me & hubby! The skin is amazing and so crispy! Thank you once again!!! Can you follow the recipe with boneless thighs? Absolutely loved these!! Even my hubby, who isn’t a fan of dark meat, told me this was a winner Thank you!